Samsung India today launched Galaxy A8 Star for camera and performance savvy millennials. With a slim design and ergonomic grip, powerful dual Intellicam camera and enhanced smartphone features, Galaxy A8 Star provides users the ultimate smartphone experience for self-expression. Galaxy A8 Star features a 6.3” Full HD+ Super AMOLED Infinity Display with an 18.5:9 aspect ratio, giving users an immersive and engaging viewing experience. Galaxy A8 Star comes equipped with Dual Intellicam – a set of powerful 16MP +24MP dual rear cameras. Both cameras come with f/1.7 apertures for low light photography. In addition, there is an impressive 24MP (f/2.0) front camera. “Galaxy A8 Star comes with the first ever Dual Intellicam proposition that can turn anyone into a professional photographer. It lets you click the perfect picture anywhere, anytime and in any light. And A8 Star is one gorgeous smartphone. Its Immersive 6.3 inches infinity display and slim design are sure to make a style statement again just like all of our other Galaxy A Series devices” said, Aditya Babbar, General Manager, Samsung India. Galaxy A8 Star’s large-aperture lenses make the smartphone perfect for capturing bright and clear images and beautiful selfies at any time of the day or night, as it is able to intelligently adapt to lighting conditions. The device is intelligent enough to automatically choose the perfect lens as per the lighting condition outside. The camera also sports advanced Live Focus feature, allowing users to easily adjust the bokeh effect before or after taking the picture to create superior quality images, whether it is blurring the background to a desired degree or adjusting the depth-of-field, so that users can highlight their subject. Keeping the selfie-lovers in mind, Galaxy A8 Star packs in new exciting features that help them take vibrant selfies – the Smart Beauty mode for a more glamorous look, Pro-lighting mode that gives a feel of a professional photo studio and the exclusive AR stickers, which add more fun & colour to pictures. Galaxy A8 Star is also equipped with enhanced everyday features, allowing users to do more. The ‘Always On’ display feature on the phone allows users to get information at a glance, without unlocking their phone. The Dual Messenger feature enables users to create separate messenger accounts on the same phone for official and personal usage. The Secure Folder, equipped with Knox, Samsung’s defence grade security platform, helps users to protect their important files, sensitive content and apps from unwanted intruders. Galaxy A8 Star comes with a large 3,700 mAH battery offering users added versatility, long-lasting usage and peace of mind. Packed in a sleek and classy glass and metal frame, Galaxy A8 Star comes with 6GB RAM and 64GB internal storage, which is expandable upto 400GB through Micro SD card to store your treasured memories and content, without ever having to worry about running out of space. 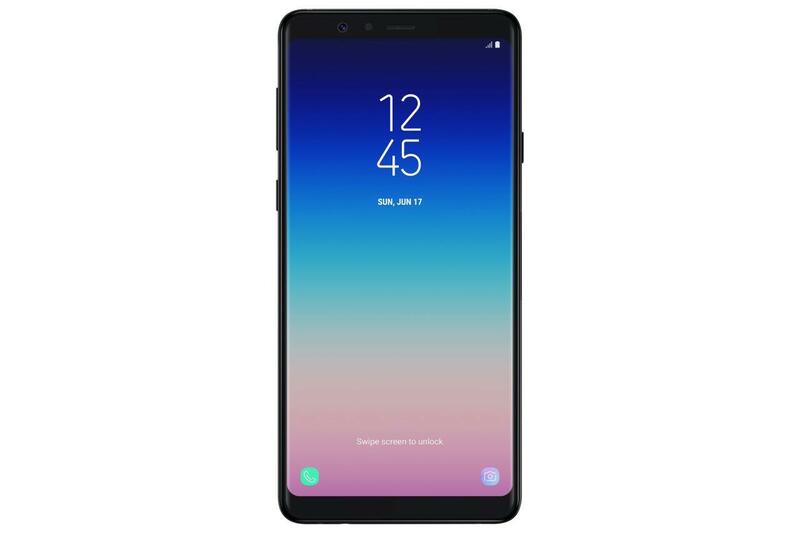 Availability : Galaxy A8 Star will be available from August 27 exclusively on Amazon.in and in retail stores starting September 5. Galaxy A8 Star will come in two colours – Midnight Black and Ivory White and will be priced at INR 34,990.